Counterpath – Launch Party for Jackson Mac Low’s 154 Forties, Friday, October 19, 7 p.m.
A celebration of the publication of Jackson Mac Low’s 154 Forties. Also a world premier of the most outstanding videos we’ve been getting in–from NY and LA! and Canada!–for the 154 Forties video project, from film makers, performance artists, video artists, and oddly arranged singing groups. Also a group reading of one of Mac Low’s Forties took place, and can be see in the video above. 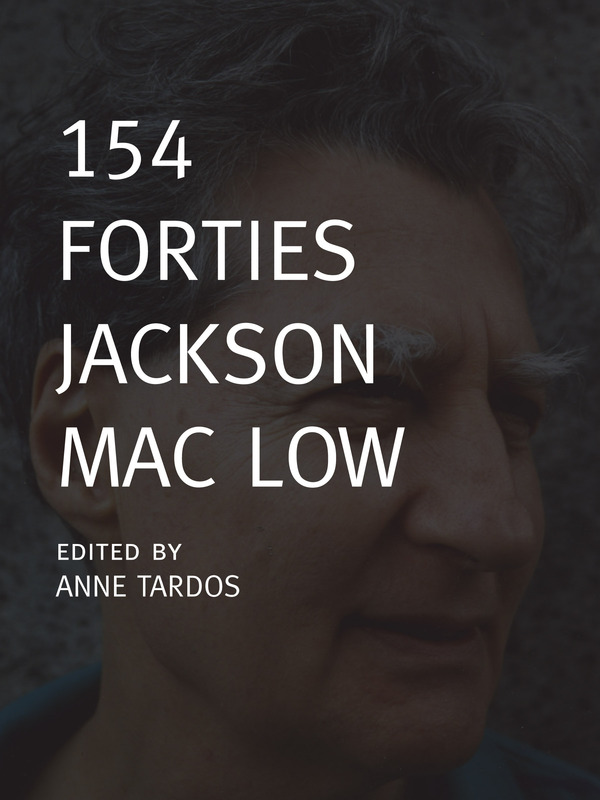 154 Forties is the first publication of the complete series of Jackson Mac Low’s “Forties” poems. Written and revised from 1990 to 2001 with a method Mac Low called “gathering,” where he took into the poems words, phrases, and other kinds of word strings, and sometimes sentences, that he saw, heard, or thought of while writing the drafts, the poems include detailed markings of caesural spacing, timing, compound words (many neologistic), and metrical stress. Each of the poems adhere to what Mac Low termed “fuzzy verse form”: 8 stanzas, each comprising 5 lines (hence “forties”): 3 moderately long lines, followed by a very long line, and then a short line. 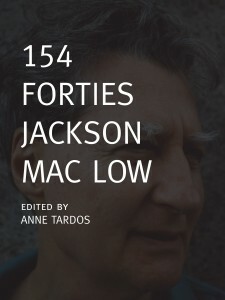 The book publication is being accompanied by an ebook project that will include scans of the original handwritten manuscript of the Forties as well as videoed readings of each of the poems by 154 artists and writers in the US and abroad, many of whom knew Mac Low. The videos are being posted to the web as they come in, here. Jackson Mac Low (1922–2004) made poems, essays, and musical, performance, visual, and radio works. Author of about 30 books and published in over 90 collections, his works have been published, exhibited, and performed (often by his wife, the poet, visual artist, and composer Anne Tardos and himself) in many countries. Awards: Guggenheim, NEA, NYFA, and CAPS fellowships and the 1999 Wallace Stevens Award of the Academy of American Poets. Recent books: Doings: An Assortment of Performance Pieces 1955–2002 (Granary, 2005) and Thing of Beauty: New and Selected Works (University of California Press, 2008). Anne Tardos is a poet, visual artist, and composer. Her many books of poetry and graphics include, most recently, Both Poems (Roof Books, 2011). She is also the editor of Thing of Beauty: New and Selected Works, by Jackson Mac Low (University of California Press, 2008).